Plymouth council have procured a significant quanitity of Floodstop flood defences to rapidly protect the historic Mayflower Steps and the subsequent sea wall openings. The Mayflower Steps are close to the site in the Barbican area of Plymouth, south-west England, from which the Pilgrim Fathers are believed to have finally left England aboard the Mayflower, before crossing the Atlantic Ocean to settle in North America on 6 September 1620. The traditional site of their disembarkation in North America is Plymouth Rock. 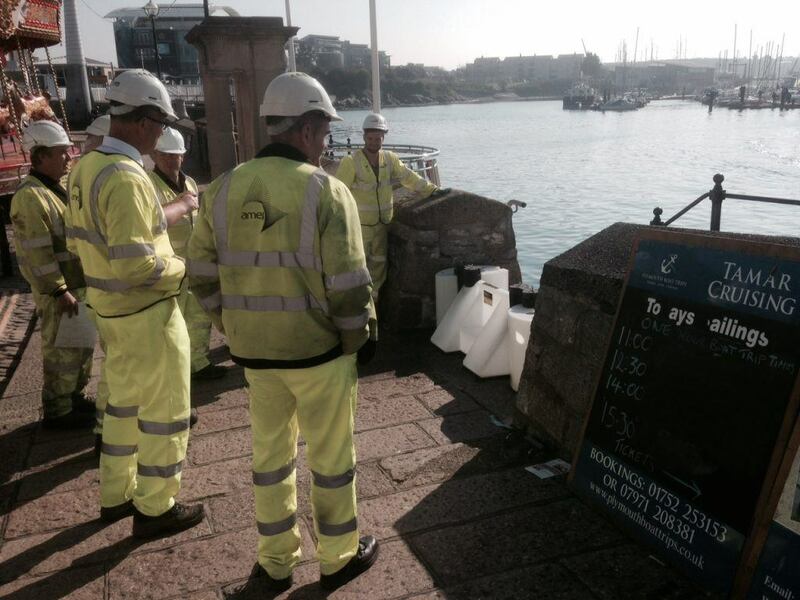 One of the main areas of protection was to ‘block off’ various sea wall openings on the Plymouth quay side. Floodstop can be deployed to block off any opening length, it is simply a case of adding or removing modular units to make up the required protection length. Unlike other flood systems that require construction works and need to be manufactured away from site to fit specific openings – Floodstop and FloodBlock barriers are non-bespoke and can be deployed to protect any opening length.